Buy together and save ! 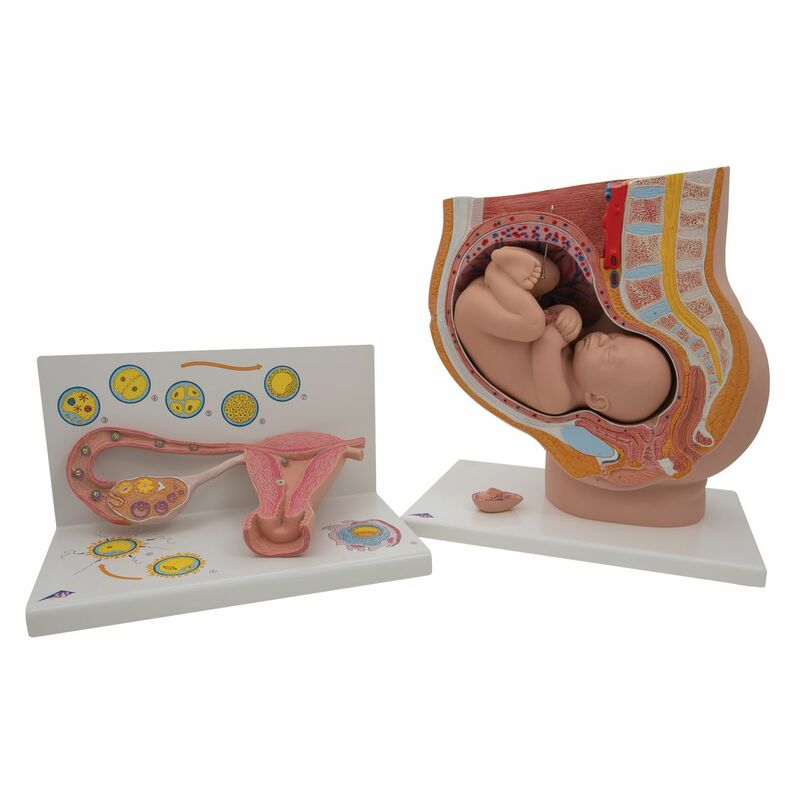 Pelvis: This anatomy model is a representation of a median section through the female pelvis at 40 weeks pregnant with a removable fetus. Stages of Fertilization: The model illustrates schematically how the ovum matures, how ovulation and fertilization occur and how the fertilized ovum develops to the stage where it embeds itself in the womb wall to begin the growth into an embryo.